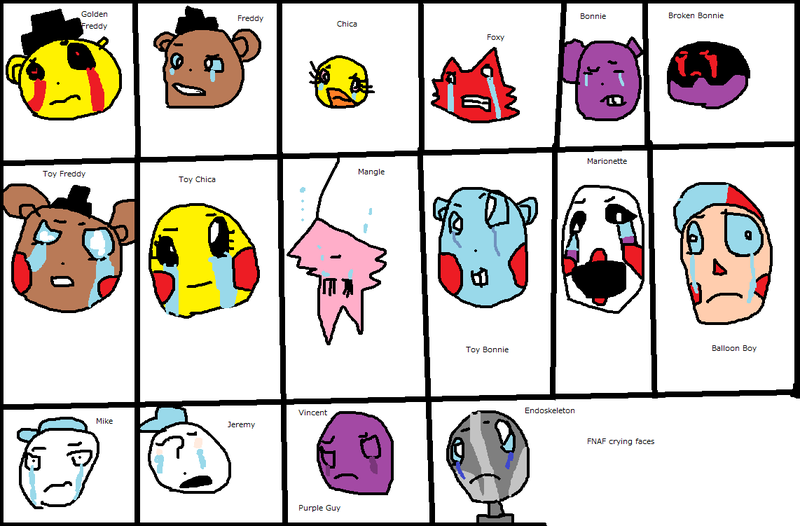 Five Nights at Freddy's Crying Characters. Aww..... HD Wallpaper and background images in the Five Nights at Freddy's club tagged: photo cute chibi fnaf five nights at freddy's golden toy foxy freddy bb. This Five Nights at Freddy's photo contains slot, salah satu penjahat bersenjata, seorang ketua polis bersenjata, mesin slot, mesin duit syiling, tingkap kaca berwarna, and tetingkap kaca patri. 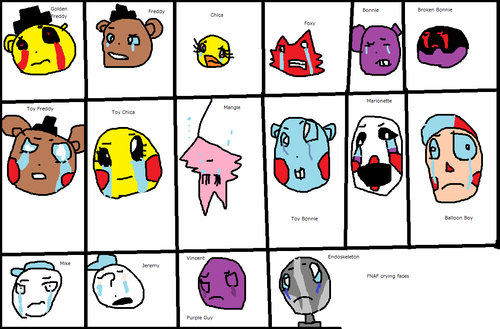 Oh my God,look at Toy Chica crying.SO CUTE!!! !